President of the Senate, Dr Abubakar Bukola Saraki has urged Nigerians to use the opportunity of Prophet Muhammadâ€™s birthday celebration to show love to one another and imbibe the virtues of perseverance and restraint. Saraki said this in a message to commemorate this yearâ€™s Mauludâ€™s anniversary, signed by his Special Adviser on Media and Publicity, Yusuph Olaniyonu. 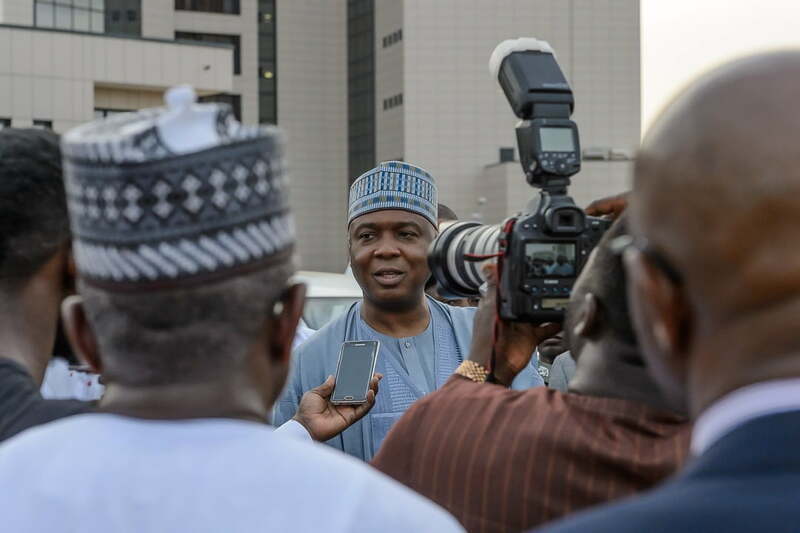 Saraki charged Nigerians, particularly Muslims to always emulate and promote the virtues of Prophet Muhammad which include honesty, love for others and peaceful co-existence, saying â€œHe, Prophet Muhammad preached and lived for peace and was revered and widely followed for his honesty and perseveranceâ€. The statement read in part: â€œThis yearâ€™s Maulud has come at the most appropriate time for Nigerians to use it in praying for peaceful, free, fair and credible elections.